The Delphi Dev. 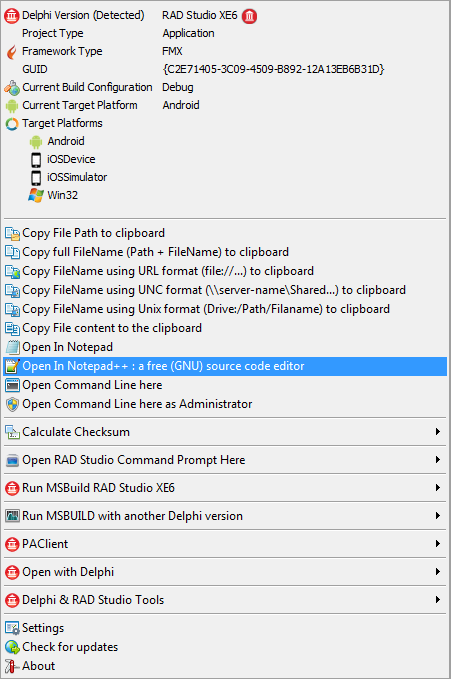 Shell Tools now supports Delphi (RAD Studio) XE6 and Appmethod , also the new version include some fixes and new features. You can download the shell extension from the project page. Categories: Delphi, Tools | Tags: delphi;tools;shell, shell extension | Permalink.